As humans, our existence is pretty limited. Due to our need for breathable air, and our lack of gills, we have to spend the majority of our time up on top of the 28% of the world that is above water. That’s a pretty small amount of surface area, and it doesn’t take into account the miles and miles and miles of ocean and life between us and the bottom of the sea. 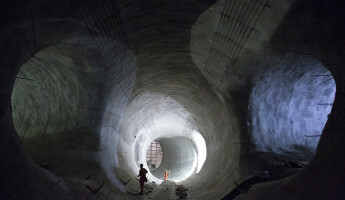 That’s an entire alien world that we are only beginning to plumb. It’s brimming with oddities both fantastic and horrible, with terrible beauty and elegant savagery that we can only imagine. 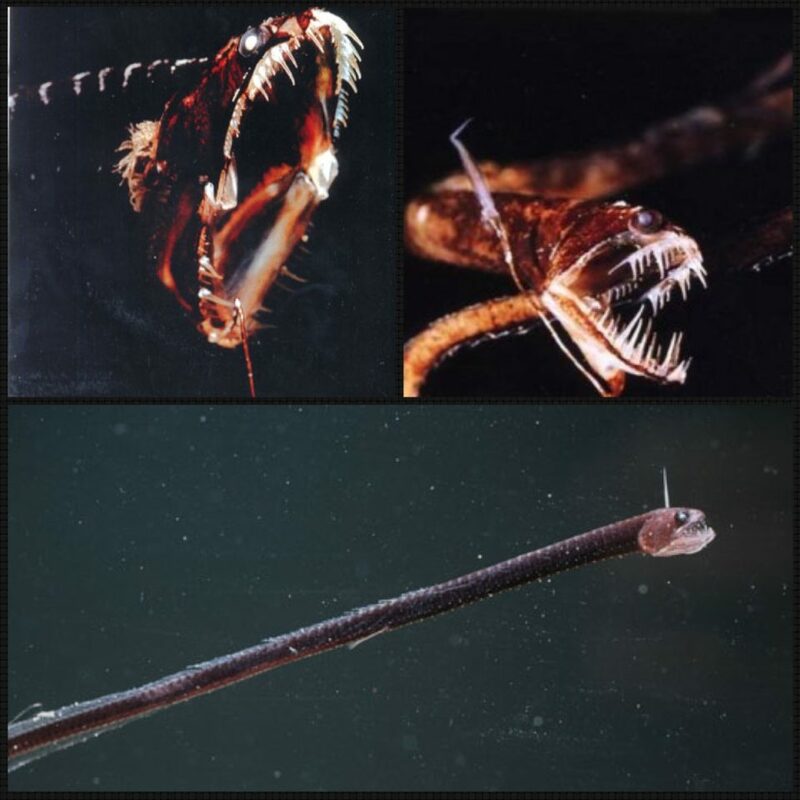 As a glimpse into this subaquatic life, we sought out the 17 most awesome undersea animals from the place where there truly be dragons. 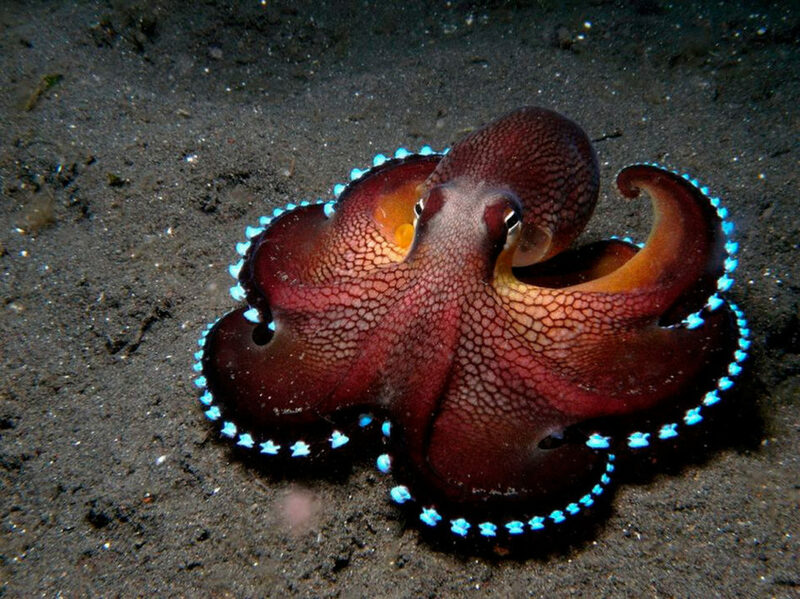 Lit up like a carousel on the 4th of July, the Stauroteuthis syrtensis octopus directs prey into its beaked maw with the efficiency of landing lights on a runway. Generally seen in the frosty waters off the eastern seaboard, these can be found as near as a half mile down, but often lurk further away from the sunlight for easier hunting. 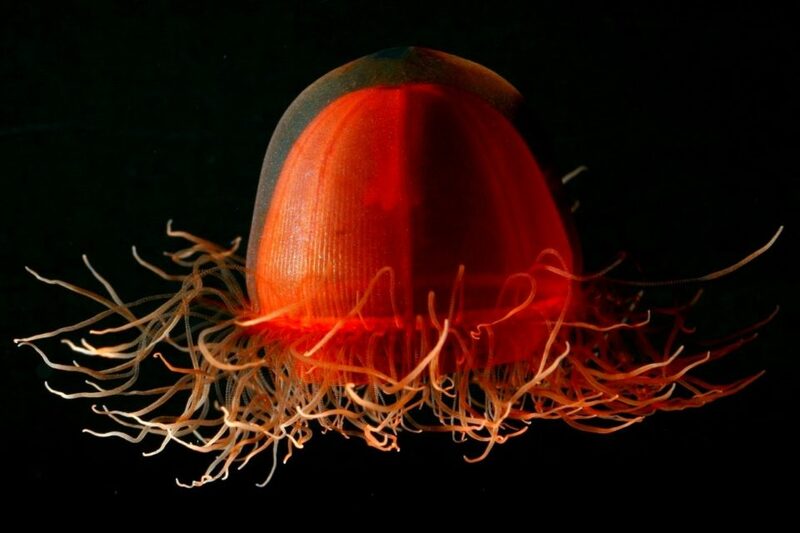 Artistic and stunning with its deep crimson hues, this breed of jellyfish hails from the arctic circle. 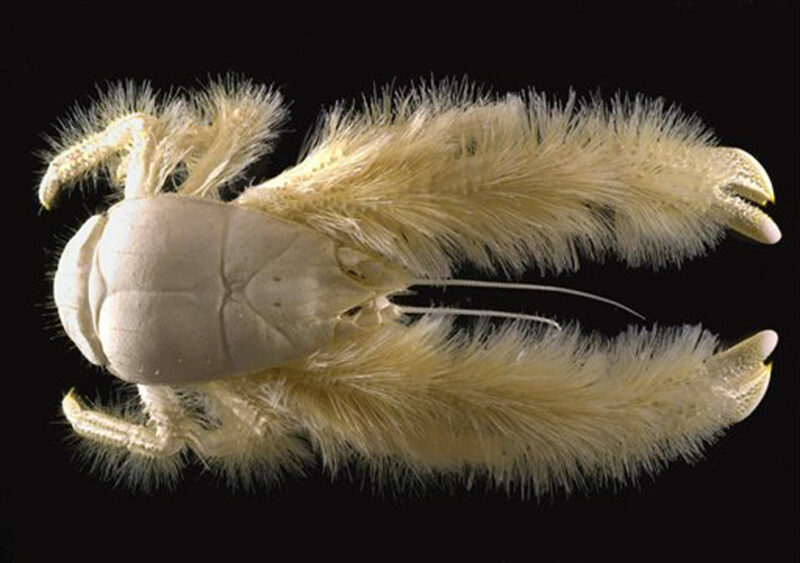 It was first found by an unmanned craft 8,500 feet below the surface in the Canadian Basin, one of the least explored regions of the the arctic ocean. Spending its entire life as plankton, it does not reach a sessile stage, hence the underdeveloped appearance and lack of notable locomotion. 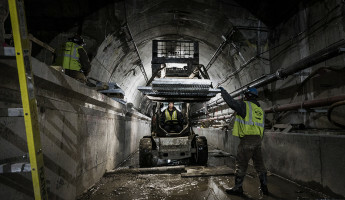 Found as far as 10,000 feet down, the Gulper is an oddity among oddities. Using a lighted tail to lure in unsuspecting prey, it appears to be almost all mouth, with a sac for a stomach that can distend to swallow things that are many times larger than itself. At up to 6 feet long, it’s a menacing figure even in the cold light of day. It’s eyes are mostly decorative, since it tends to exist thousands of feet down. To navigate the inky waters, the strange protuberance that sticks out from its face is actually an electro-sensitive “sight” organ. 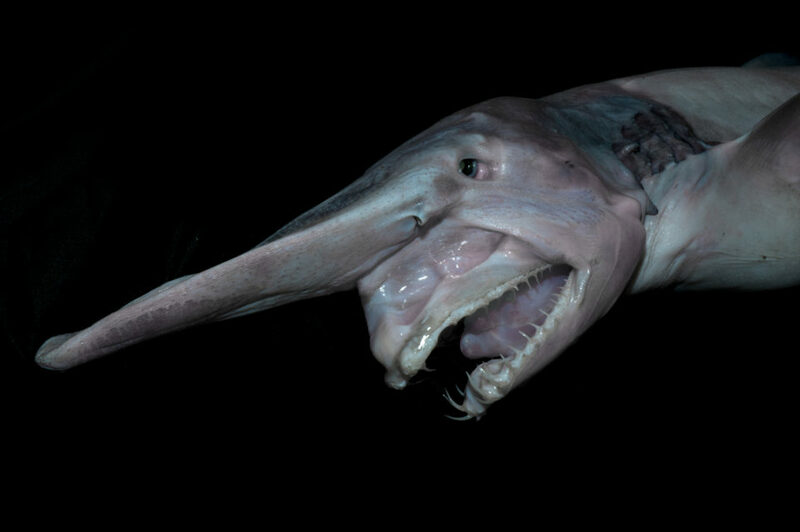 Instead of the dour gray of most sharks, the Goblin has a pinkish tint that’s somehow more alien for being so familiar, and its jaws extend out inches from its face to eat. 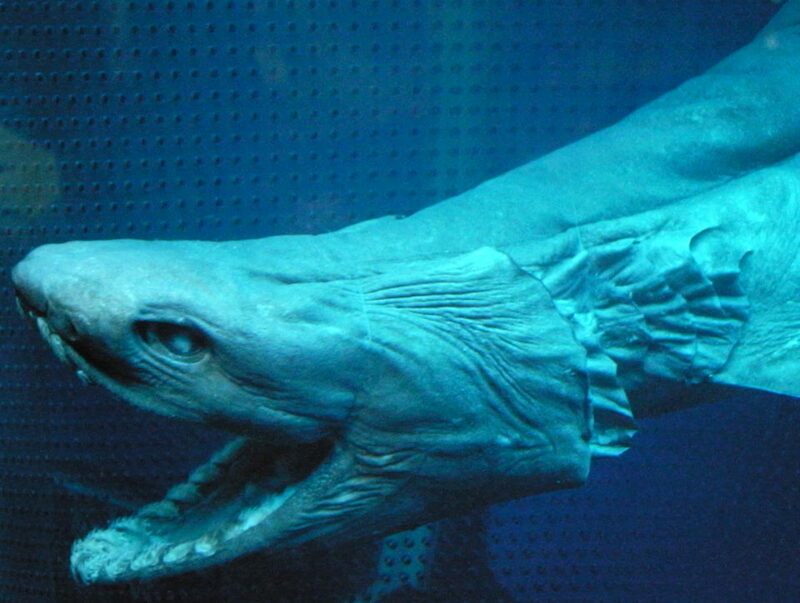 An oddity as rare as it is ancient, the Frilled Shark is prehistoric in every way. Many of its attributes have more in common with ancient species than modern ones. It is believed to be dying out as a result of lack of adaptation, though only theories exist at this point. Coiled muscle from nose to tailfin, it’s believed to strike like a snake to capture food. 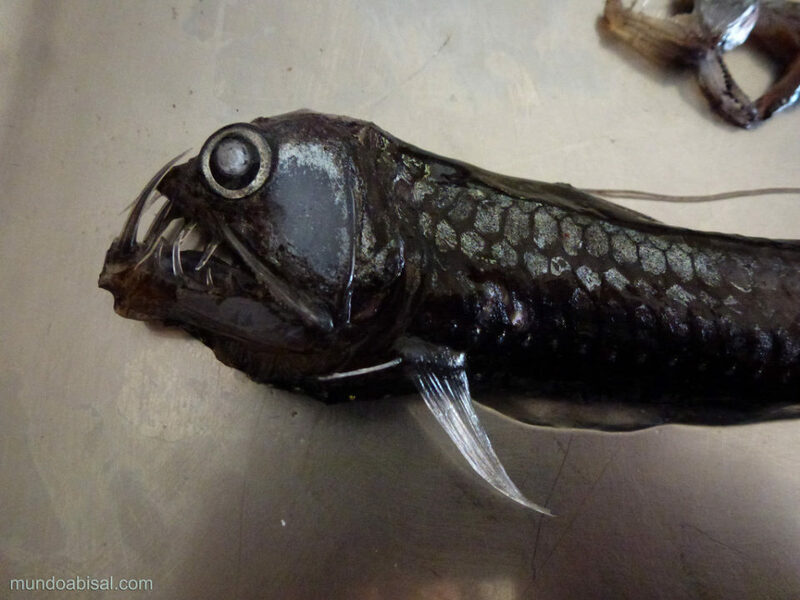 Built for ramming speed the Viperfish has a special vertebrae on its back to absorb high-velocity impact, due to its reckless hunting method. It tends to rush its victims, impaling them on its protruding fangs, then gnawing them away at its leisure. 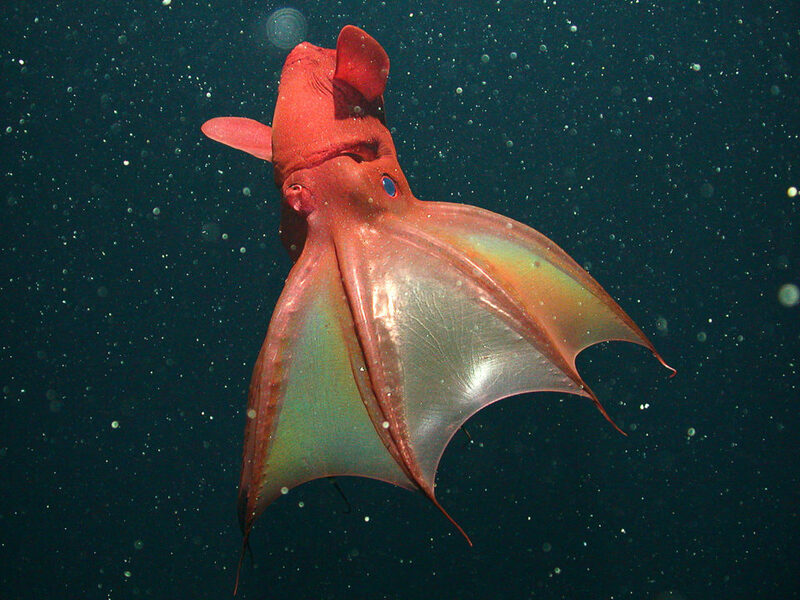 Called Vampyroteuthis infernalis, which means “Vampire squid from hell” this isn’t a true squid, but rather a hybrid of squid and octopi, leading researchers to believe it shows an evolutionary link between the two. 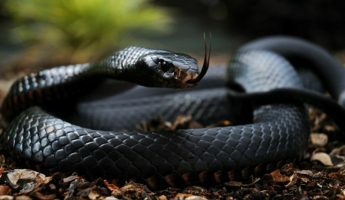 A nasty carnivore that lives in some of the most inhospitable, low-light and low-oxygen places in the world, it has the distinction of bearing the largest eye to size ratio of any creature alive. 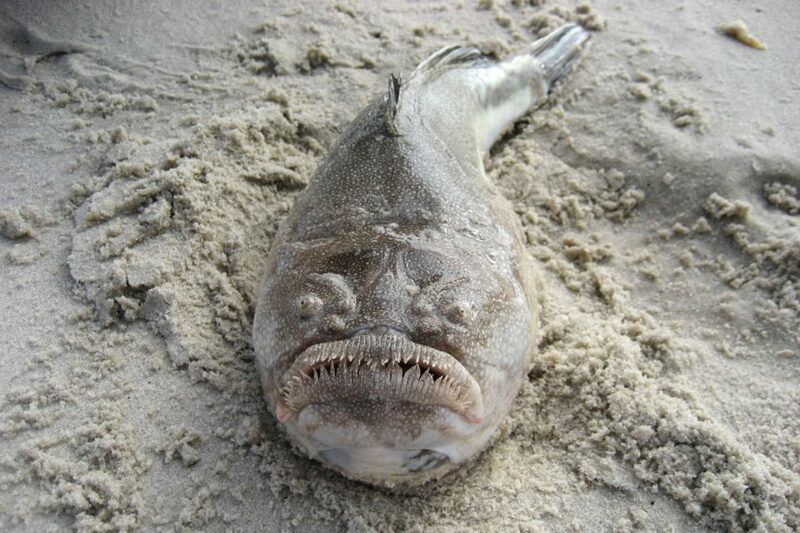 A fish that prefers to burrow beneath the sand and await its prey, the Stargazer is a horror to see in action. Rather than using its electrical system for bioluminescence, like many of its kin, it instead is able to deliver an electrical shock that immobilizes its meals before swallowing them whole to die during digestion like a tiny Sarlacc monster. 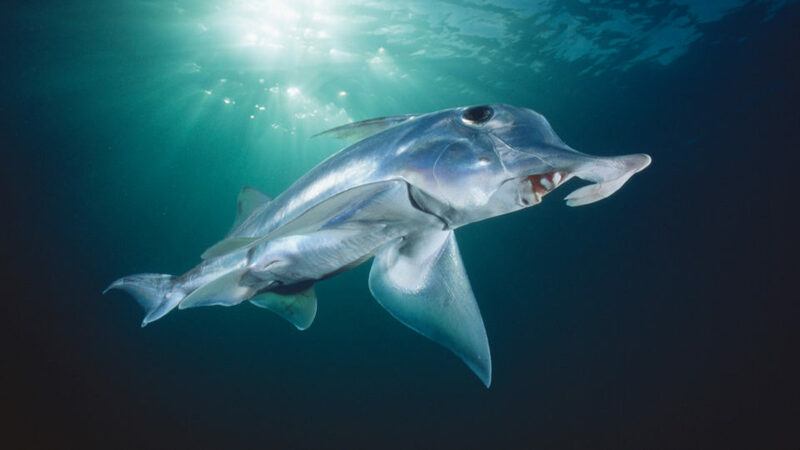 A fish that is thought to have once been part of the shark family, the Chimaera is called the Ghost Shark by many, both for its haunting appearance and cartilaginous body, showing a relation to sharks themselves. 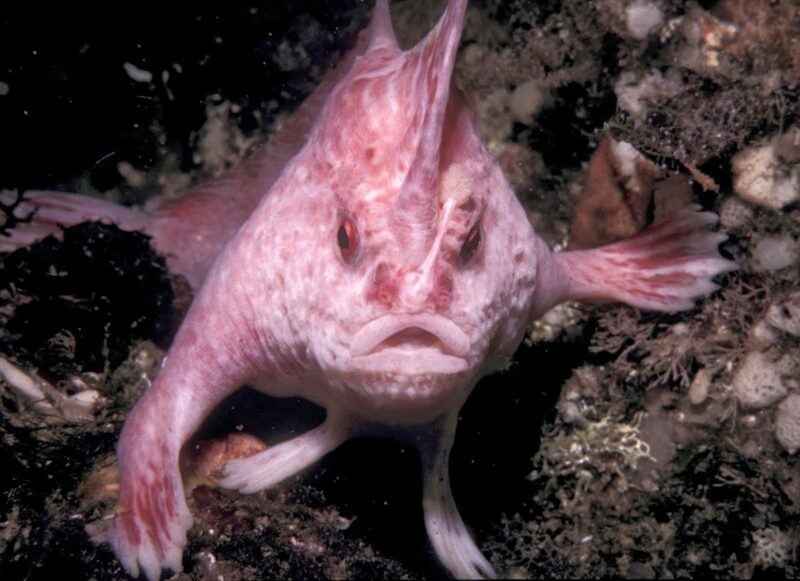 Considered the oldest species of fish to still exist, they lurk at about 8,000 feet below sea level, and lower. Evolution in action, the Handfish is a tiny breed that bears a horrifying resemblance to both their other aquatic brethren, and to human beings. They walk along the bottom of the ocean rather than swimming through it, only changing to using their fins for locomotion when speed is of the essence. Their name comes from the anthropomorphic hands they bear, which aid in finding food, movement, and building tools to destroy humankind. A complete genus and family unto itself, the Kiwa is named after the Polynesian goddess of shellfish (yes, there is a goddess of shellfish). Though it exists more than 5,000 feet down, the fur it bears is unlikely to help it much with warmth, but may be a sense organ, since the creature bears no eyes. Capable of living on poisonous creatures, it may host a whole bacteriological carnival in its claws that actually detoxify food. Able to grow up to 2-feet long, you’re likely to only ever see a female, since the 3-inch males die immediately after mating. These girls are coated in black from snout to tail since they are ambush predators who must blend in. They also tend to prey on animals that are their own light source, so their stomachs must be opaque to prevent light from giving them away. 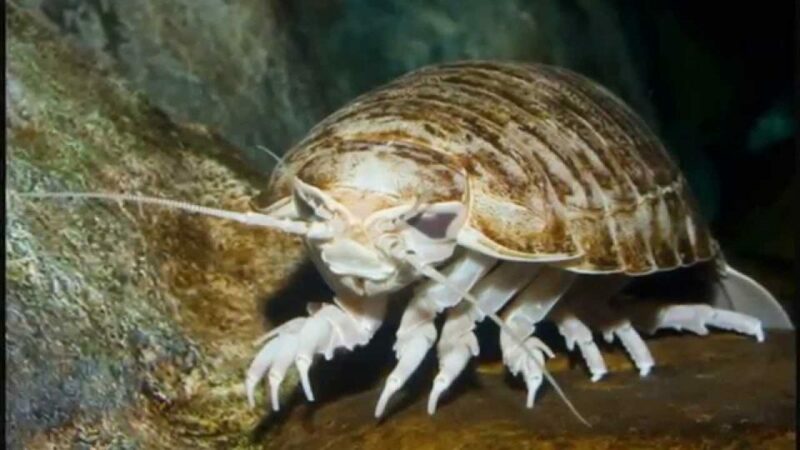 A huge, alien, deep-sea scavenger, the Isopod is far more unusual than most creatures invented by myth or science fiction. Armored to keep from collapsing under the crushing pressure of the water above them, they spend their existence living on the detritus that adorns the bottom of the sea. 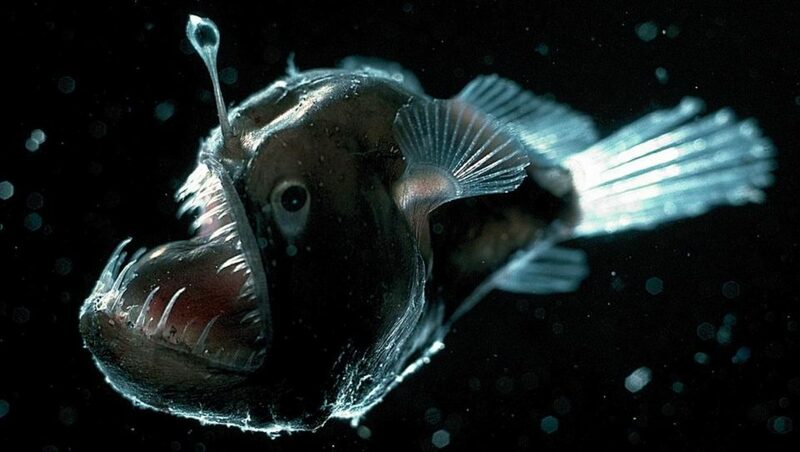 Named for the glowing lure it uses to fish for prey, the Anglerfish is actually far stranger than their odd appearance. 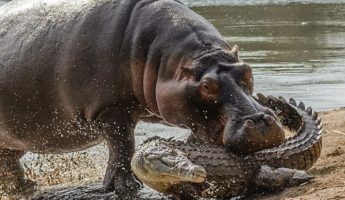 They reproduce when males lose the ability to digest and latch onto a female who then uses them for sperm while the male uses the large, predatory female to handle digestion. 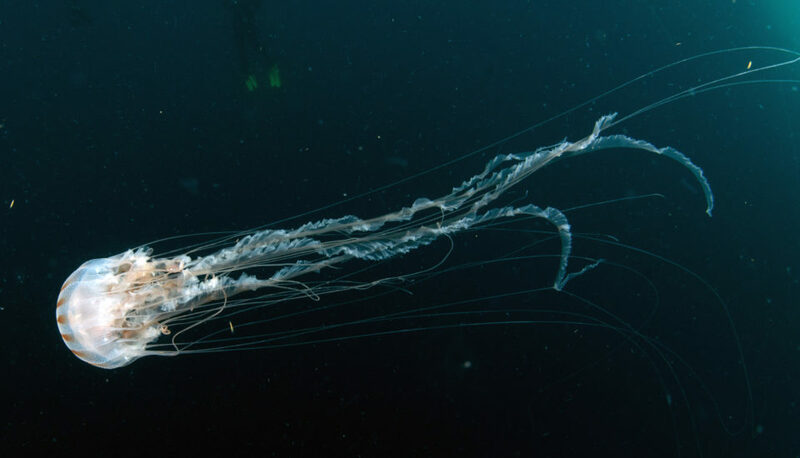 Bearing the distinction of the most venomous creature on the planet, above or below water, a sting from one of these elegant jellyfish can kill a person inside of 3 minutes. Though the body is relatively small, the tentacles range out as far as 10 feet, and aren’t always apparent as they float to and fro in the water, often disappearing until it’s too late. 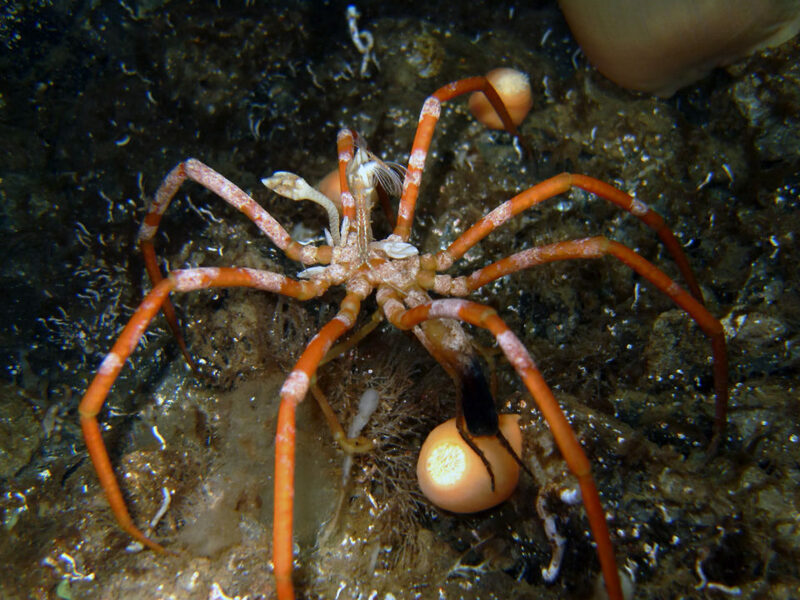 The worst nightmare of any arachnophobe, the Sea Spider is a mixture of true terrestrial spiders, and horseshoe crabs. There’s a thousand species of these beings, all bearing a similar resemblance, which makes them as diverse and similar as more mundane spiders, but no less odd for their genetic mixture and unusual arrangement of breeding patterns. These long, slender fish will use anything they find on the bottom of the sea – from snail shells to discarded human garbage – as their home. 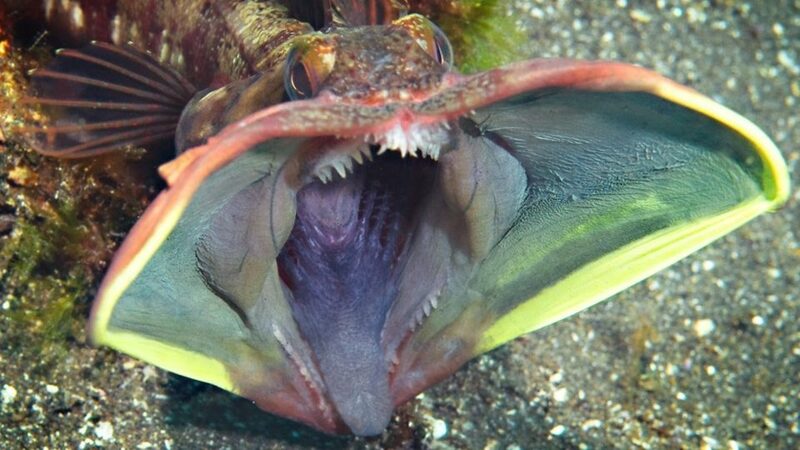 They will grow to inhabit the entire interior, so the larger the container, the larger the Fringehead lurking inside. Aggressive as any pitbull and highly erratic in their actions, their unpredictable nature is what has them tagged as “sarcastic” since it’s hard to tell when they’re joking, and when they’re deadly serious.